P14 (421) has a 5 mil nominal lead foil backing with a rubber adhesive, which is well suited as a maskant in electroplating and as a moisture and radiation barrier in certain applications. Additional applications include Radiation Barrier; Moisture Barrier; Chemical Milling; X-Ray Plate Masking. Note: Wear protective gloves and/or wash hands after working with tape. Lead will slowly leach into water when submerged. Leaching will accelerate as acidity increases. This material when disposed of separately is classified as RCRA hazardous waste. Please consult applicable Federal, State and Local regulations for proper disposal. 225°F intermittent rating. Contact an EPSI representative for recommendations on tapes for continuous or extended use. Many factors can affect the use and performance of a product in a particular application. This product should be tested to determine the suitability for its intended use. 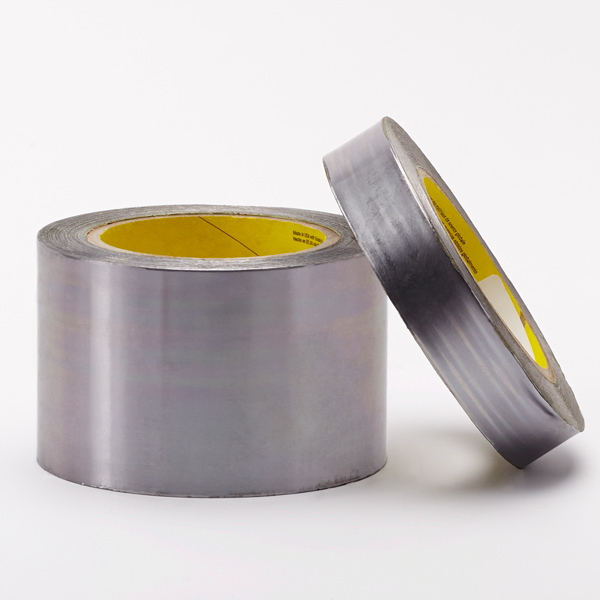 12.7mm Lead Foil Tape (0.500 "
25.4mm Lead Foil Tape (1.000 "
38.1mm Lead Foil Tape (1.500 "
50.8mm Lead Foil Tape (2.000 "
101.6mm Lead Foil Tape (4.000"